I'm thinking of painting my calipers red. Was thinking of using Por 15. 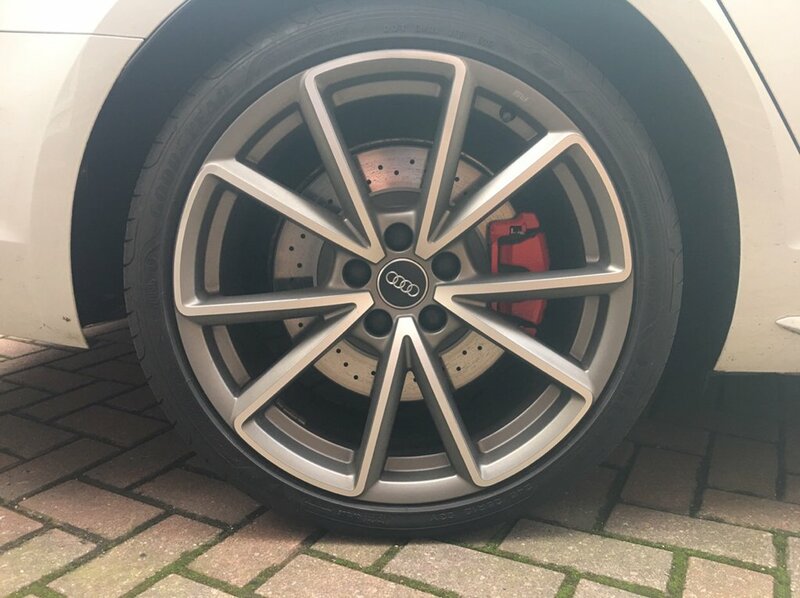 Any idea of the colour of the calipers painted from Audi? I ordered some of this yesterday. A4 272 tdi Avant S-Line 2016. Comfort and sound pack, Tech pack, Virtual cockpit, Storage pack, Pan roof, Flat bottom steering wheel, Fine nappa leather, Extended LED pack, Hill hold assist, B & O 3D sound system, MMI Nav plus with MMI touch, folding door mirrors, Extended interior upholstery pack, Adaptive comfort suspension with damping. Changes/Mods Front and rear dash cam, all badges removed, TMC gearbox flash, Removable tow bar fitted with electrics, Paddle shift extensions, Transmission mount insert. G2 is another good brand and easy to apply. Aye red,black and silver I think. I seen this also and watched a few reviews. I'd like to have mine without any decal on. 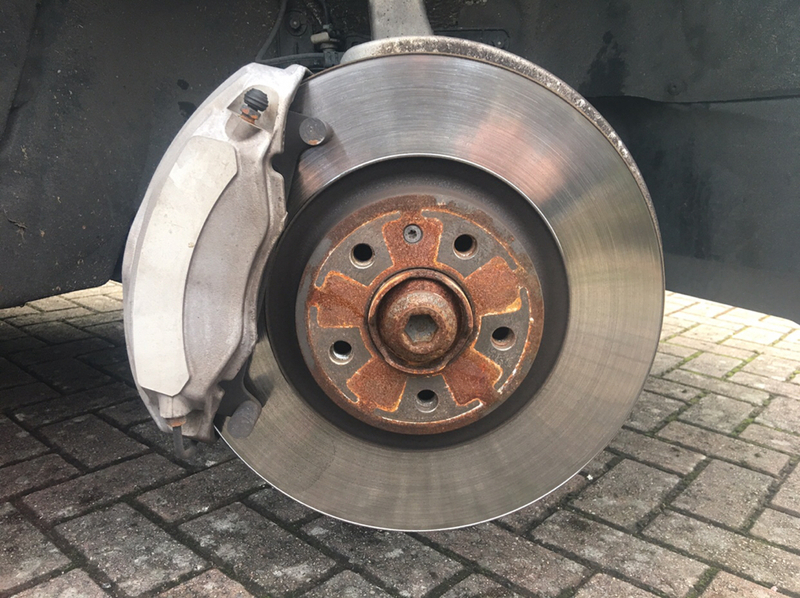 Done mine whilst changing my discs and pads over the weekend. RobbieWebs and Jcbmally like this. Look really well especially with the white car mate. If you out decals on, make sure you borrow the missus' nail vanish laquer and put some on top of the decals. It stops them peeling off. RobbieWebs, WesT-gefül and Jcbmally like this. @Baj257 what discs did you use? What size. Impossible for me to find anything aftermarket for the fronts. 318mm discs. I got these, although mine are 338mm on the front, but I found some 318mm. EBC also do some for a slightly higher price. That’s great. They must have released them in the last few months because I’ve been looking at EBC. Don’t know why they don’t make the front pads to go with them. I’d rather go for the slotted ones for reduced wind noise. £208 for both fronts is good (they sell in pairs). I’ve contacted them before about the front pads. Just have to wait they say. 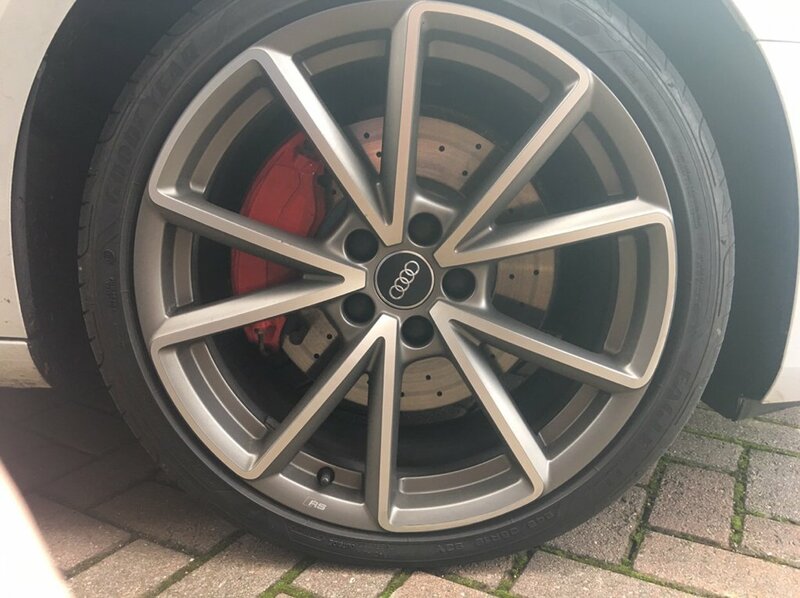 Are oem brakes pads on the b9 ceramic or metallic! I’m still under 200 bhp (190ps in mine) so I can use green stuff unless someone recommended redstuff. Just worried about initial bite. 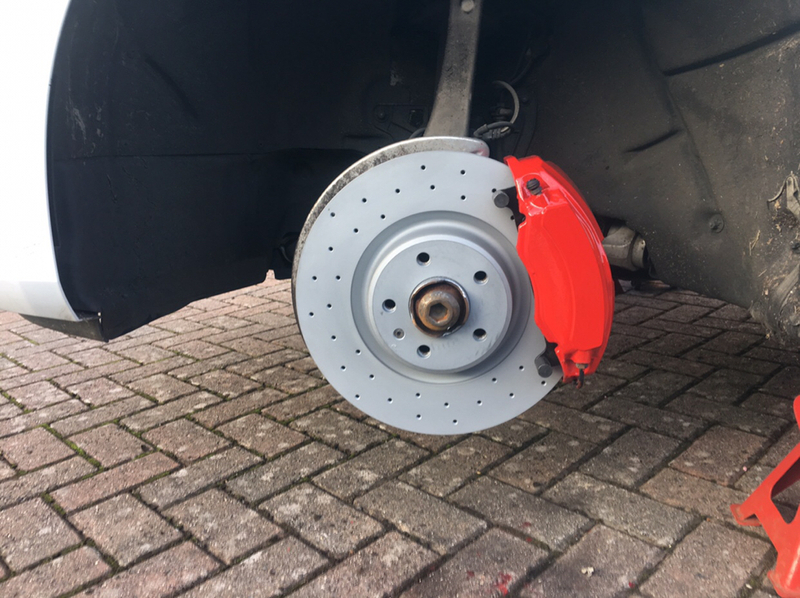 I’ve got the red stuff rear pads, they are fine no bite. You only notice they are different when you break hard at high speed. I have ferodo front pads, work a treat. I want to get rid of my small original decals. Any ideas? You might be able to cut around the letter with a sharp knife and peel them off. They would have a few coats of lacquer on I would think. Depending on how they put them on you might get away with just scuffing the caliper face with some red scotch brite and spraying a few coats of lacquer. Failing that you could rub it off with some 120 grit and re paint the side of the calliper. Buy a different car? Put calipers on from a different model? Instead of putting TDI badges on the back of the S4, trying to remove the caliper 'S' badging, trying to make it quieter, etc, etc. why not just chop it in for something less performance oriented or showy? Thank you both @Baj257 & @Daggerit.